We provide Traditional, Cremation, and Pre-Planning Services that can be personalized to honor your loved one. Our staff will assist in the application of veteran’s benefits, social security death benefits, and benefits of fraternal organizations, regardless of the services that you choose. A traditional funeral is a service where the body is generally present. The casket can be opened or closed and the visitation can be public or private. 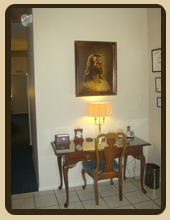 The visitation may be held at the funeral home or a place of worship, and it may be held the day prior to the service. A family can also choose to combine the visitation and service all in one day. Some families prefer cremation as an option. Many families selecting this service choose to have a visitation and a ceremony followed by cremation. 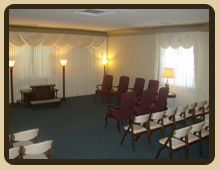 Others may choose immediate cremation where the deceased is held at the funeral home for 24 hours and then cremated. There is no viewing of the deceased with this option. To assist in the healing process, we respectfully suggest that you have a memorial service. Pre-planning takes the burden of stress off of your family at a difficult time. It offers a family time to talk things over and ask questions. It allows time to consider options and to discuss them with your loved ones in order to make an informed decision. Pre-funding is another aspect of pre-planning your funeral. It is a very cost effective method of financing your funeral. For more information please contact us for a personal consultation.